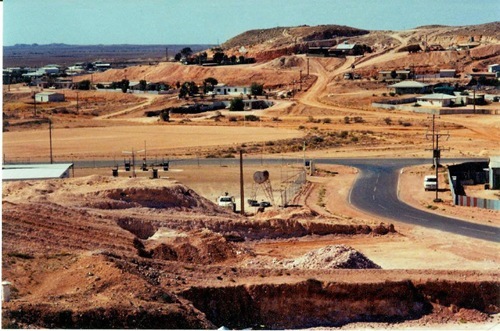 Coober Pedy is a town located in northern South Australia and is known as the opal capital of the world, as nearly 95 percent of the world's opal supply comes from the local mines. 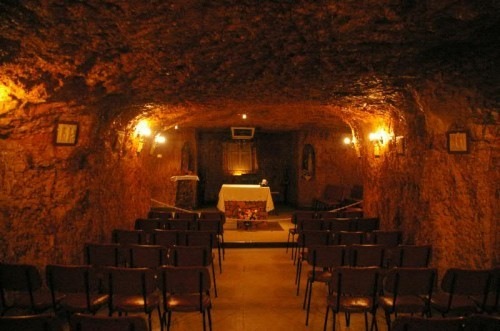 This small town with a population of around 3000 has a unique way of life – nearly half of them live underground. 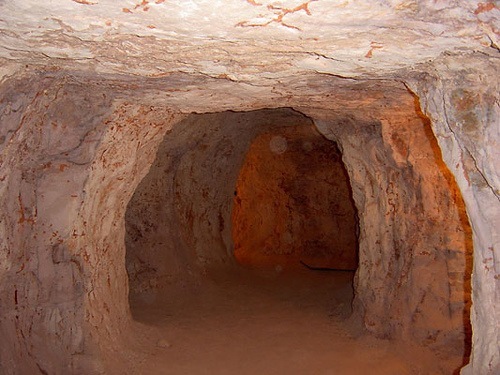 Back in 1916 when people moved into Coober Pedy to mine opal, the harsh summer temperature drove them into caves dug into the hillsides. 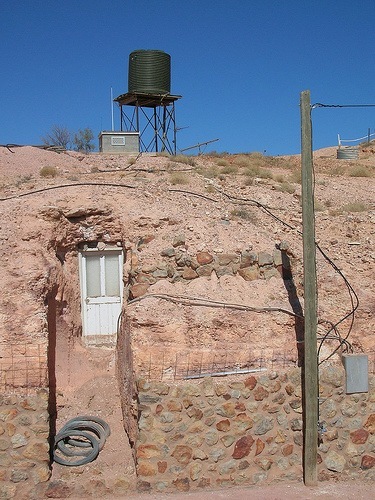 When temperatures outside raged over 40 degree centigrade, underground temperatures remained comfortable and nearly constant year-round. 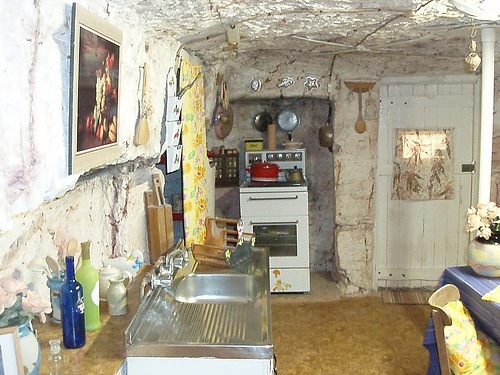 Even today, the town folk prefer to build their homes in underground caves. 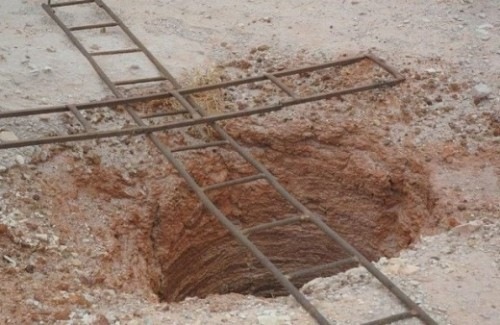 In fact, many of these homes are abandoned mine shafts dug to search opal. 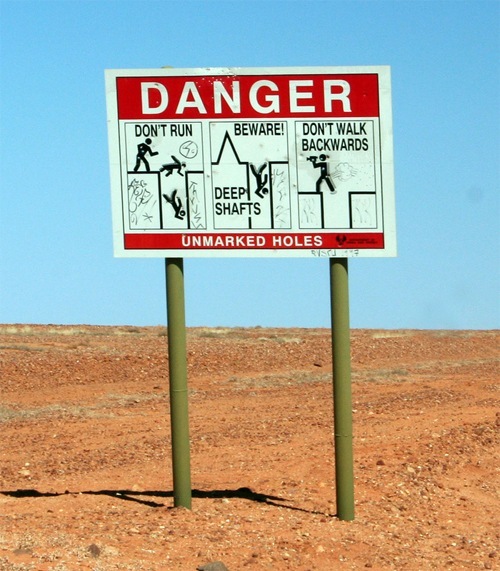 Coober Pedy has around 250,000 mine shafts and signs like this are common. 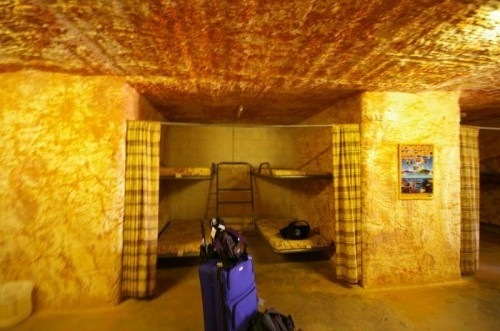 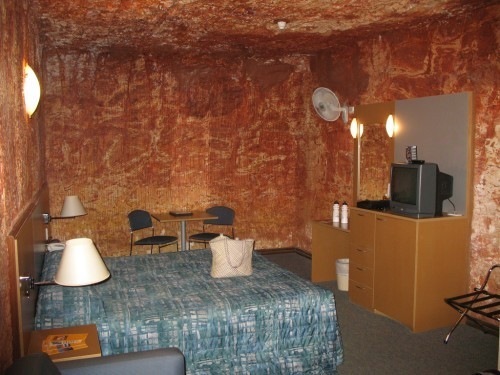 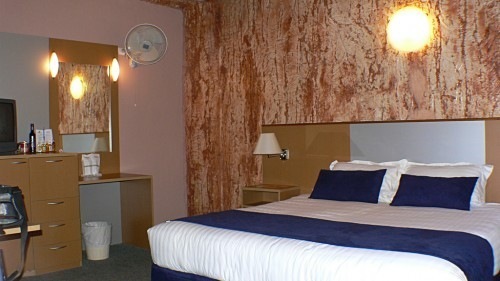 Building a new home in Coober Pedy is much cheaper and quicker compared to conventional building methods. 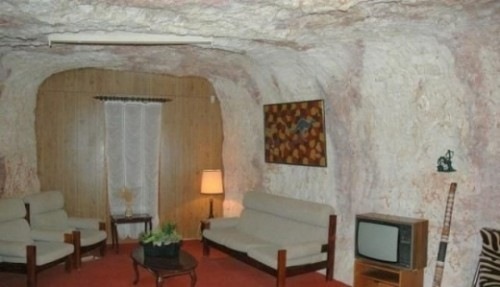 The modern homes aren't the deep caves that people imagine but are dug into the hill sides. 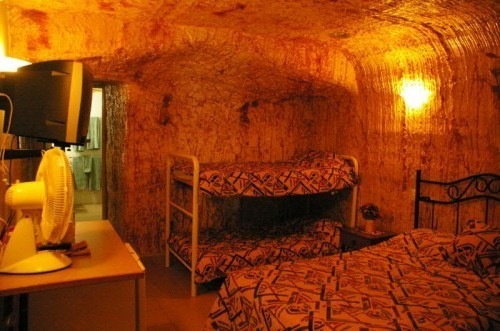 The entrance is usually at street level, and the rooms extend towards the back into the hill. 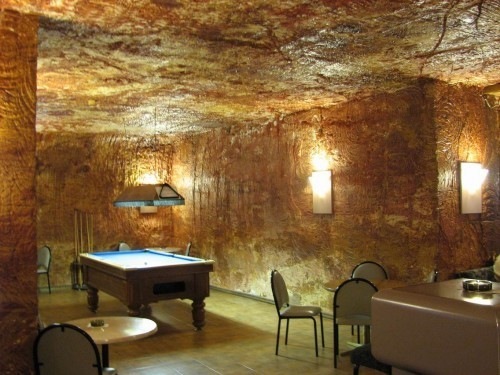 There is a local golf course - mostly played at night with glowing balls, to avoid daytime temperatures. 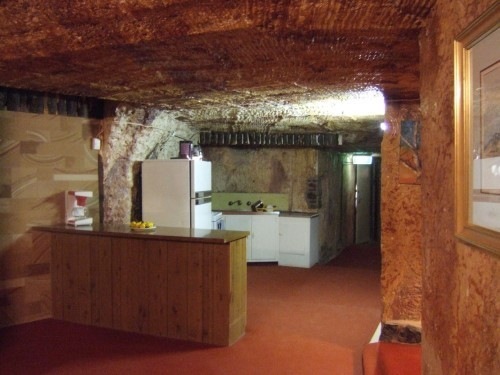 It’s completely free of grass and golfers take a small piece of "turf" around to use for teeing off. 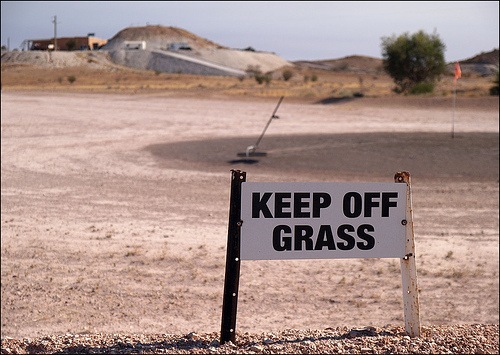 The lack of grass hasn’t discouraged them to put up this sign in the golf course though. 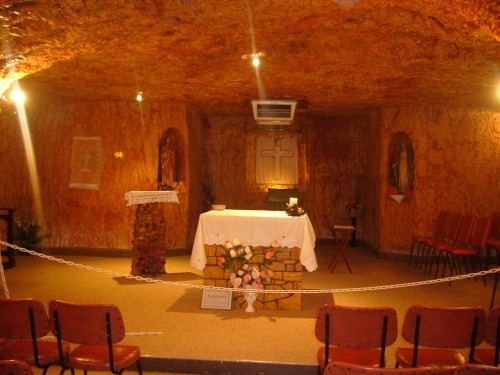 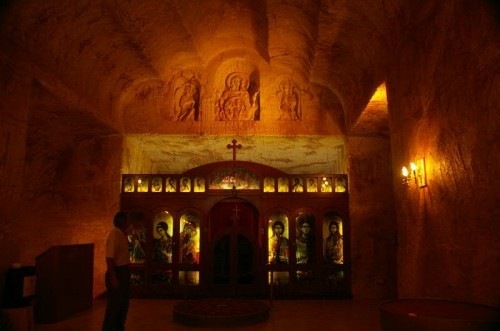 Major attractions in Coober Pedy includes this church.